Many are the stories of ‘encantades’ (enchantresses) or ‘bruixas’, (witches) in the history of the P-O. Over the centuries, believers in witchcraft have protected themselves with a variety of different methods; ranging from small, unobtrusive acts, such as keeping bread in the drawer, to all-out elaborate rituals, such as washing their smalls in water from seven different sources. The Catalans are certainly a superstitious bunch! In fear of witches landing on their roof and bringing bad luck to the household below, people erected “espentes bruixes” (witch repellents) from pieces of forged iron, jagged tiles or tall stones to prevent the witch from making a comfortable landing. Also called “cue de gall” (cockerels tail), these witch frighteners were believed to chase away bad spirits and bring prosperity to the inhabitants of the building. The bruixes were believed to do most harm to animals, so the espentes were often placed on barns, to protect the harvest and the cattle. 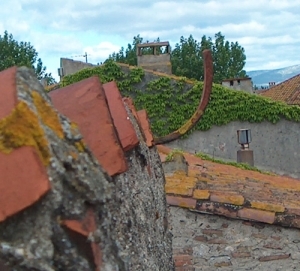 Look around on the rooftops of ancient villages, as they can still be seen on some old buildings. In fact, its not unheard of for builders to be asked to build them into new constructions to this very day! 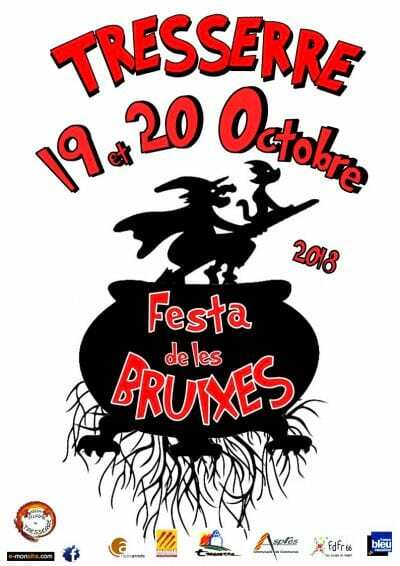 Every October, the little town of Tressère celebrates the rich history of regional witchcraft with the Fira de les Bruixes (Fête des sorcières / Witch festival). MIDNIGHT : A glass of cremat awaits those brave enough to stay up past witching hour!